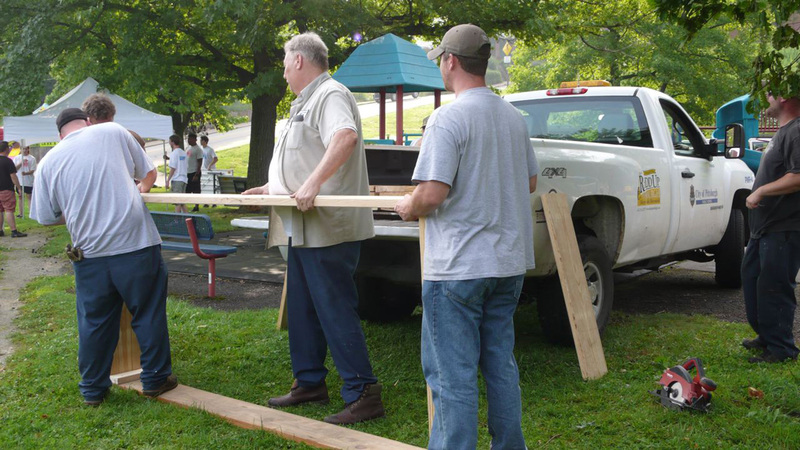 In July 2013, PHCA volunteers and a crew from the Department of Public Works (DPW) installed raised beds at West Penn Park. The beds are part of the new Edible Gardens program, an expansion of the City’s Green Up Pittsburgh program. In partnership with the servePGH initiative and DPW, Edible Gardens across Pittsburgh will harvest and distribute nearly one ton of produce to at least 200 families in its first year. Development of the 9-acre, former Iron City Brewery site will have a long-lasting impact on Polish Hill. From April 2012 through August 2013, the PHCA advocated on behalf of the neighborhood as part of the ICB Master Planning Steering Committee. The committee, which was led by Lawrenceville Corporation, and included leaders from Lawrenceville, Polish Hill and local government, worked with the owner, Collier Development LP, and architects at DLA+ Architecture & Interior Design to discuss plans, designs and uses for the site. Unfortunately, despite the committee’s best efforts to convince them otherwise, it appears that Collier Development LP is not interested in developing, and being guided by, a candid understanding of the feasibility to reuse various historic buildings at the former brewery site. The developer’s inflexibility makes a collaborative planning effort impossible. In September 2013, the Lawrenceville Corporation notified Collier Development LP that they and the committee would be withdrawing from the master planning process. Moving forward, the PHCA, Lawrenceville Corporation and relevant committee partners will remain vigilant in monitoring any efforts to modify the site, which is a City of Pittsburgh Designated Historic Property. For more information, please see the full LC statement. 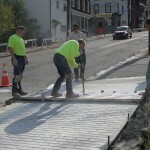 The Polish Hill Pivotal Streets Residential Façade Grant Program was designed to improve the face of the neighborhood, focusing on the main (pivotal) streets. The program is now in its third year. The 2015 program is funded by a grant from UPMC Health Plan. The decision on which projects will be awarded grants are made by an independent review committee. In order to ensure impartiality, the PHCA staff and board members do not make the decisions, and none of the review committee members are residents of Polish Hill. To provide guidance for property owners considering renovations, Loysen + Kreuthmeier Architects created the Polish Hill Pivotal Streets Design Guide, a design book specifically for Polish Hill highlighting the neighborhood’s varied architecture and suggesting design concepts for projects ranging from under $1,000 for micro renovations up to $35,000 or more for extra-large renovations. Copies of the book are available from our office for $20. Through the generosity of the Sprout Fund’s public art grant, Polish Hill received a unique sculpture in 2008. 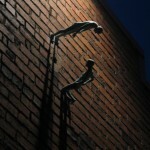 The sculpture, “Meeting/Departure,” was created by Polish Hill artist Paul Bowden. His inspiration was Polish Hill becoming a meeting place for kindred spirits who help to create a sense of community. 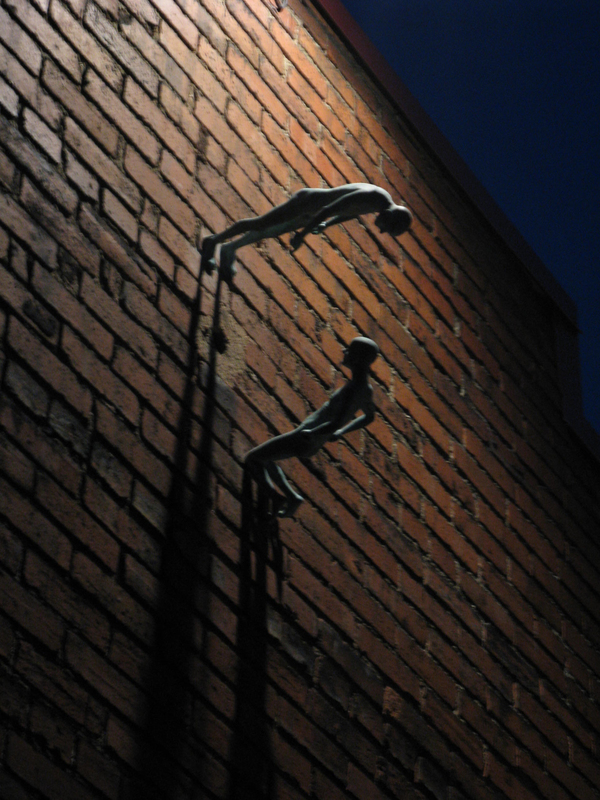 The work consists of three bronze castings of men, which are installed on the side and roofline of Tai + Lee Architect’s offices at 3106 Brereton Street. The installation is spotlit and visible at night. The work was the first venture into sculpture for Sprout Fund public art projects. Their history with funding innovative mural projects is apparent throughout Pittsburgh neighborhoods. The sculpture was unveiled on October 2, 2008 and can still be seen today. 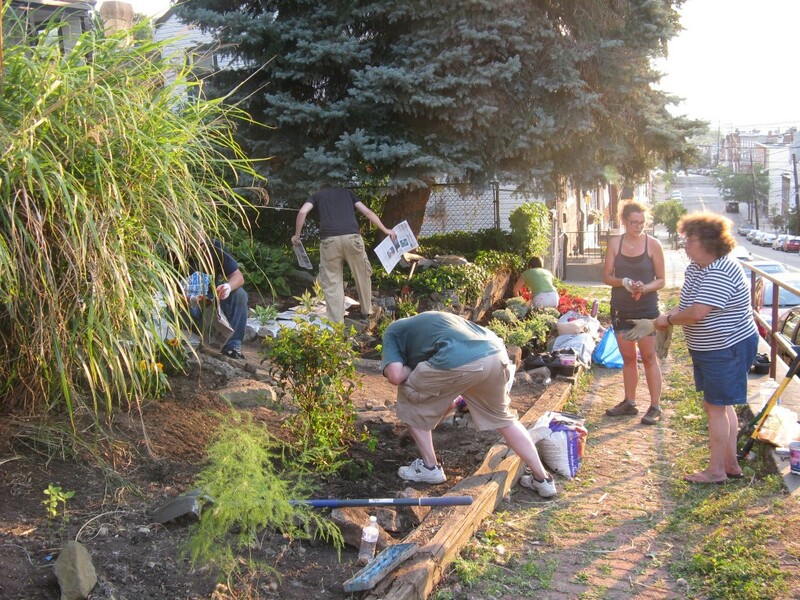 With support from the City’s Green Up Program, PHCA volunteers created a new parklet, Mały Park, in fall 2009. Mały is the Polish word for “little.” The parklet is on the corner of Dobson Street and Herron Avenue. There are native grasses, roses, butterfly bushes and two flowering trees, plus a limestone path and stone benches. The park is also bordered by a distinct sidewalk. 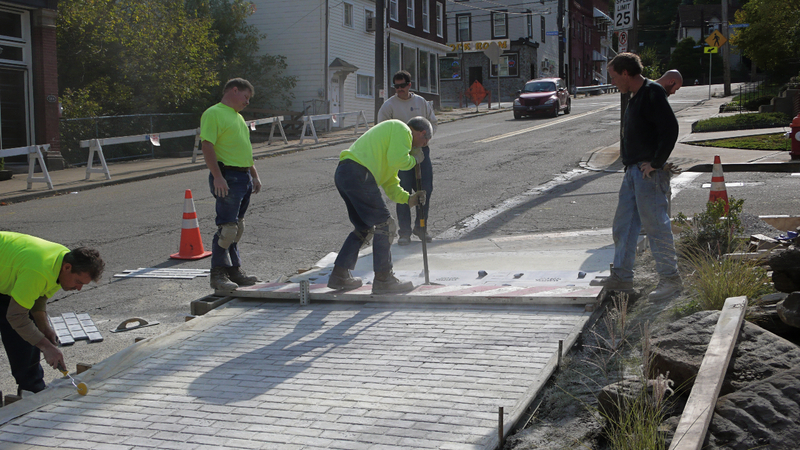 A chance conversation between an artist and a crew from the Department of Public Works (DPW) led to stamping and tinting the sidewalk yellow. This created a pattern and color reminiscent of the old brick sidewalk that was being replaced. 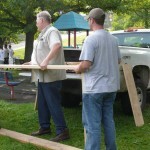 Today the park and sidewalk are maintained by PHCA volunteers and DPW. 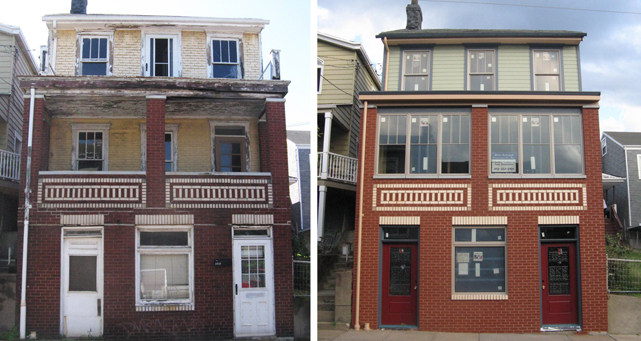 Three row houses at 1024 – 1026 Herron Avenue were renovated by Pittsburgh Housing Development Corporation, with assistance from the PHCA, in 2008 – 2010. 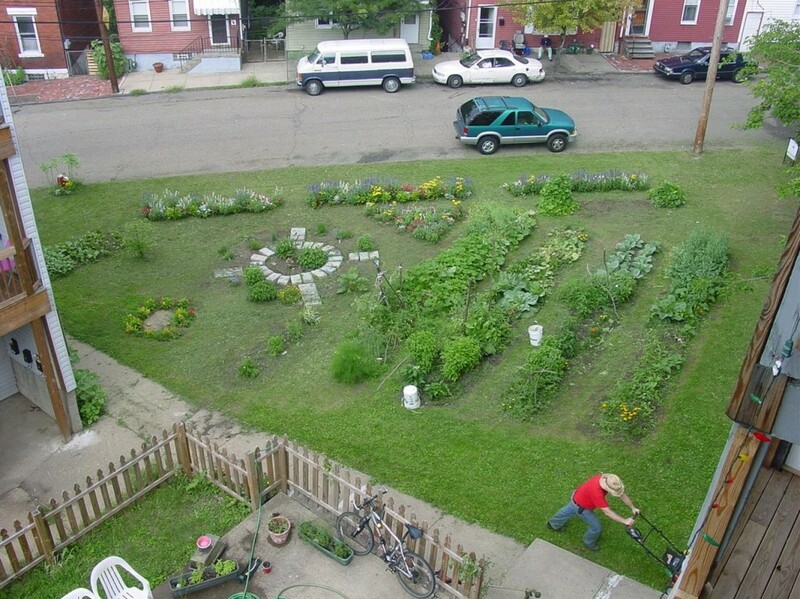 Harmar Garden is an award-winning, community vegetable garden created and coordinated by the PHCA. Love Your Block: Brereton Street & Herron Avenue were transformed into a beautiful parklet with native flowers, grasses and trees in 2012. 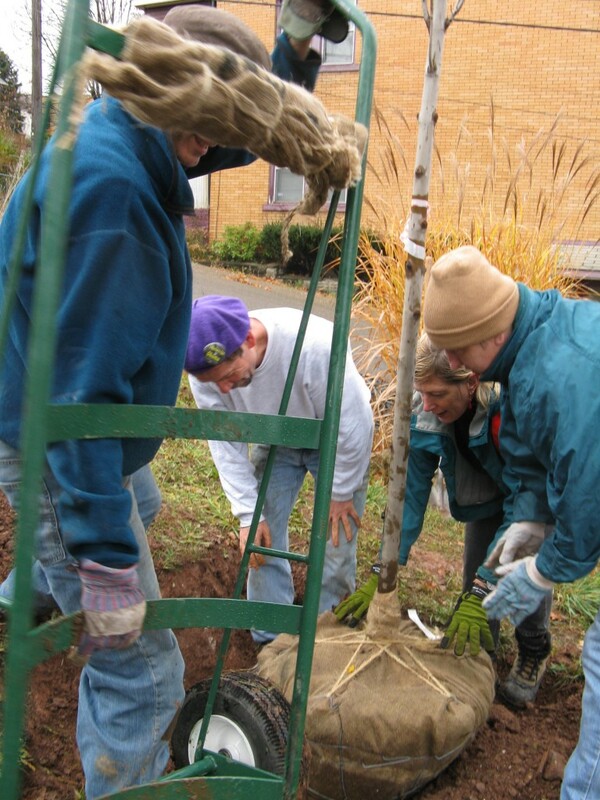 TreeVitalize & Tree Pittsburgh have partnered with the PHCA and neighborhood volunteers every year since 2009 to plant, prune and tend nearly two dozen trees. Renovating and reopening the Citiparks West Penn Swimming Pool in Polish Hill by fundraising for renovation costs. Design and construction of the skateboard park at West Penn Park.